Welcome to the new generation of ear plug! A significant improvement on traditional ear plugs and normal valve system plugs. Unique valving system allows the user to choose 2 different levels of protection – Ideal for changing situations or allowing conversation. You’ll enjoy unparalleled comfort in an earplug with our soft medical-grade silicone and multi-flange design. And they’re virtually impossible to lose, even without an intrusive, tethering lanyard, due to our unique Stay Put silicone ring, ergonomically designed to maintain position and comfort in your ear. 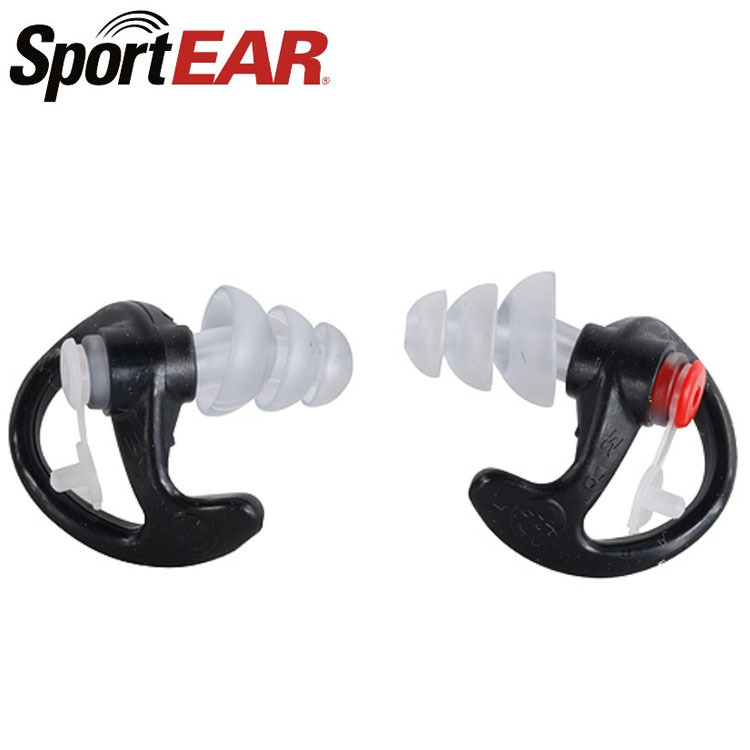 Your hearing remains protected without interfering with your ability to hear what’s going on around you in the field… SportEAR XP3 Plugz revolutionary design secret is a patented “sound valve” through the core of the silicone shell. Safe sound levels are allowed to pass through while potentially harmful noise levels above 85dB are reduced. The XP3 Plugz have a Noise Reduction Rating (NRR) of 19 dB with the valve open and a NRR of 25 dB with the valve closed. The SportEAR Comfort-Fit Silicone solution is designed for easy maintenance and a lifetime of use. This non-allergenic material is durable and easily washable to reuse as many times as you like.